Looks like the cover is off the big guy! Awesome! It looks much better than the mock-ups. Now that's what I call 3D! 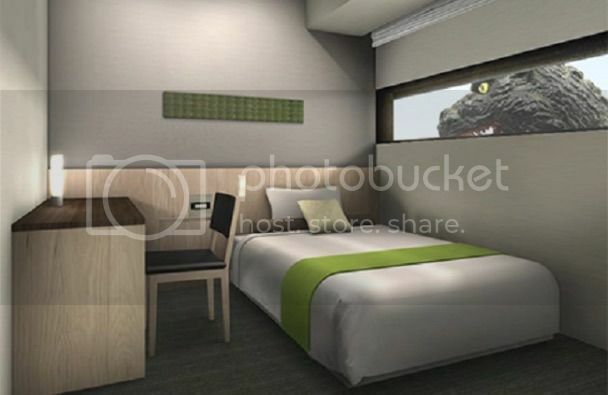 The video also contains footage of the "Godzilla" themed hotel room. 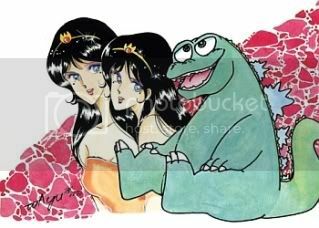 Godzilla has stomped so many buildings in Japan that the irradiated monster was appointed special resident and tourism ambassador for Tokyo’s Shinjuku ward. 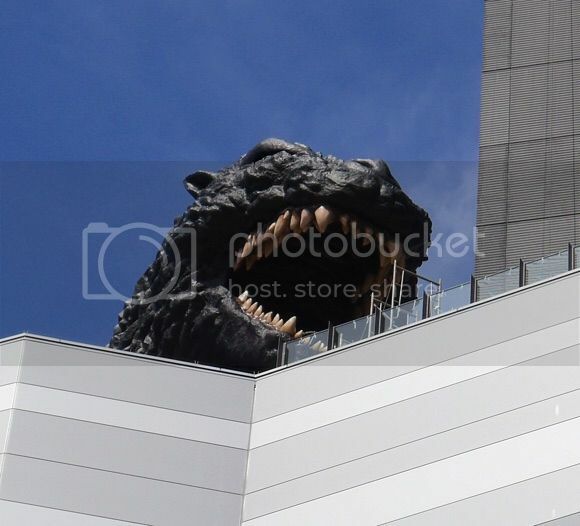 A Godzilla-size head towering 52 meters above ground level was unveiled Thursday at an office of Toho, the Japanese studio behind the 1954 original. Toho is shooting a comeback film this year after a decade-long hiatus. Godzilla’s standing as an icon has had its ups and downs, but its stature has been reinstated after the Hollywood “Godzilla,” directed by Gareth Edwards, became a global hit last year. Japan is hoping the biggest star in this nation’s movie history will help lure tourists during a market-opening strategy launched by the prime minister. At an awards ceremony next to the giant Godzilla head, an actor in a rubber suit waddled to Shinjuku Mayor Kenichi Yoshizumi. However, Toho executive Minami Ichikawa had to accept the residency certificate in Godzilla’s place, since the suit’s claws aren’t designed to grab anything. “Godzilla is a character that is the pride of Japan,” he said. Hiroshi Ohnishi, chief executive of the Isetan-Mitsukoshi department store chain, who heads the area’s tourism promotion, kept referring to Godzilla with the very polite honorific “sama” — used at the end of a name — underlining respect for the creature as a business-drawing landmark for the region. The fire-breathing “gojira” — as it is pronounced in Japanese, combining “gorilla” and “kujira,” or “whale” — was born a genetic aberration, caused by nuclear testing in the Pacific Ocean. The reptilian mutation also symbolized a national trauma over the atomic bombings of Hiroshima and Nagasaki at the end of World War II. The first Godzilla, directed by Ishiro Honda, with both an unforgettable score and bestial screech, is revered as a classic. 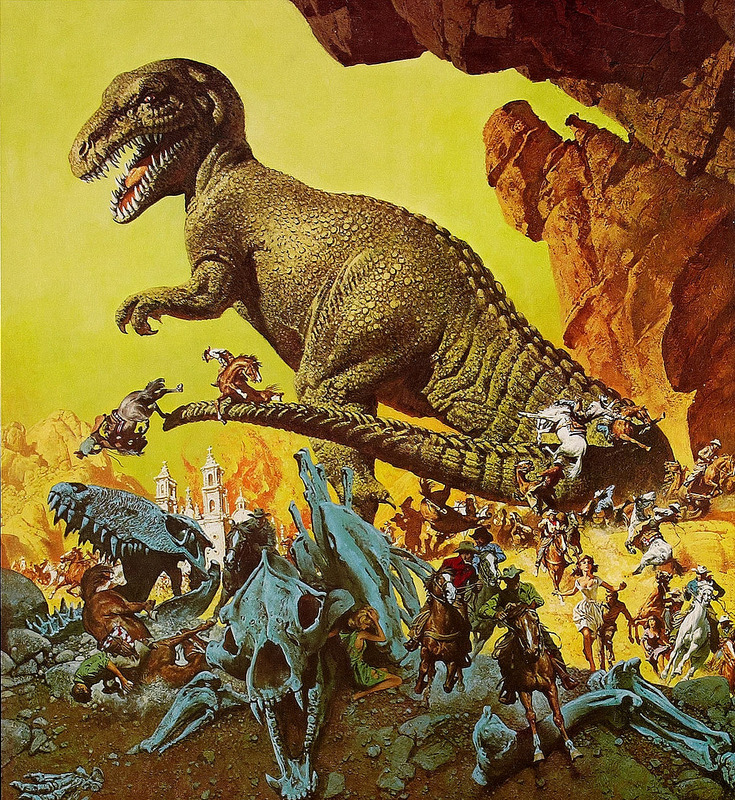 Toho’s reboot is set for release next year, ahead of Edwards’ sequel for Legendary Pictures and Warner Brothers, planned for 2018. 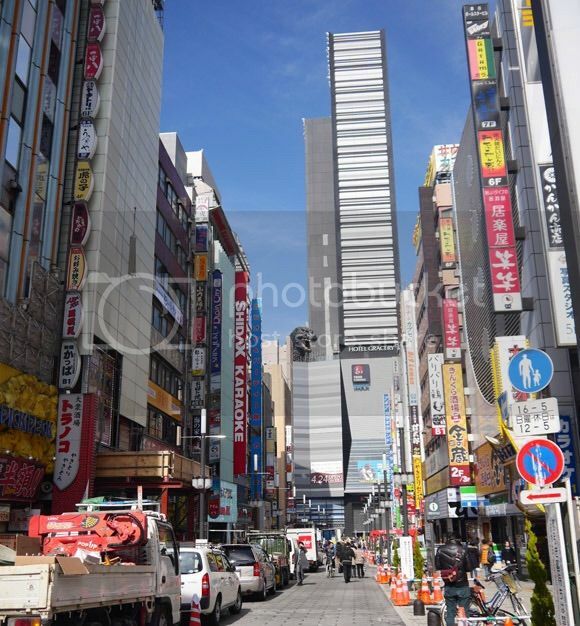 Shinjuku, known for its down-home bars and noodle restaurants, has not been spared, flattened in three Toho movies. 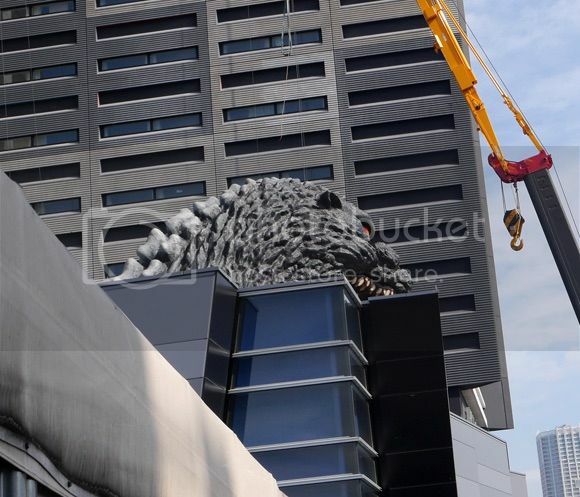 If Godzilla chooses to return, it can now stomp on its own giant head. But Ichikawa told reporters where it will show up was still undecided. A great time for Godzilla. The franchise is getting on its feet once again, Godzilla just celebrated his 60 years and now this, also, a new PS4 game will be sell in Japan, aside from the current one. 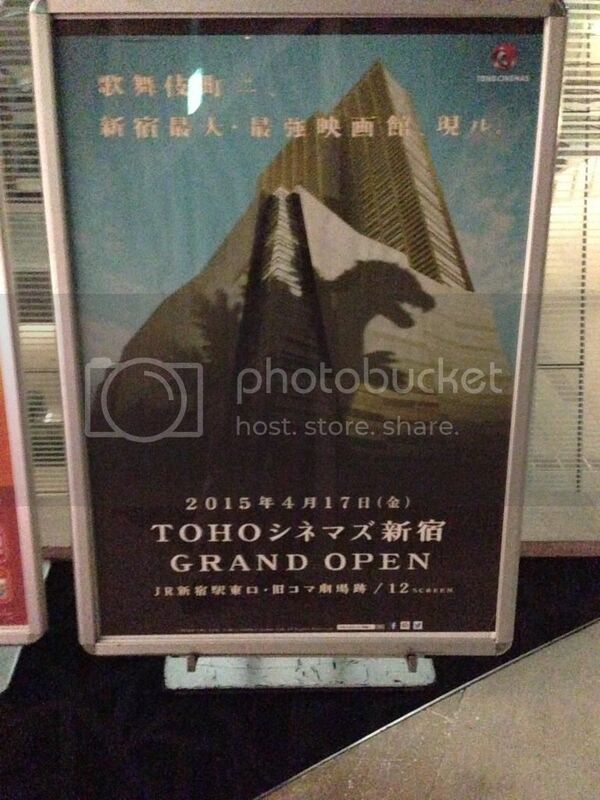 Tomorrow is open "TOHO cinemas Shinjuku' I!! 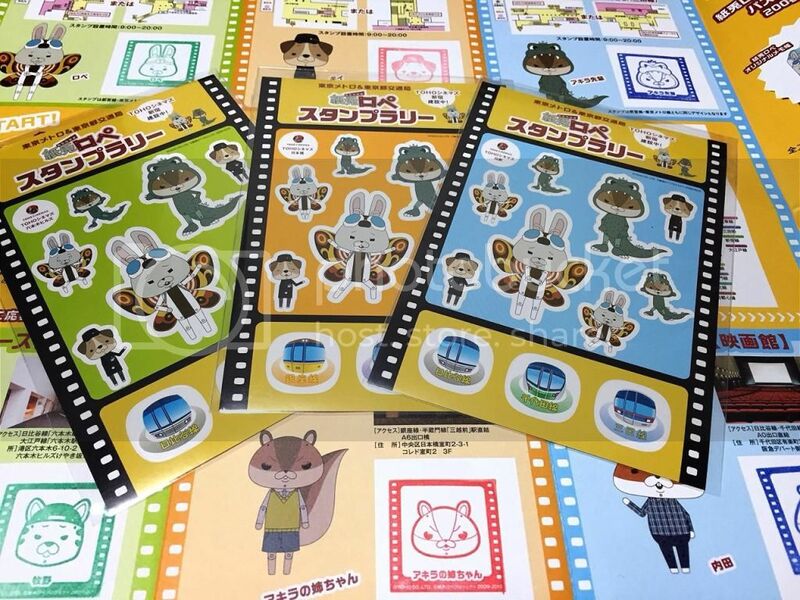 Shouldn't "TOHO cinemas Shinjuku' limited edition toy three each have that is! Godzilla in Shinjuku struck t-shirts and mugs, and bitter burning Godzilla t-shirt! I went to 7-Eleven Shinjuku East treasure have placed clear file, as well as cups, t-shirts, happy, of Shinjuku limited Gojira goods sold. 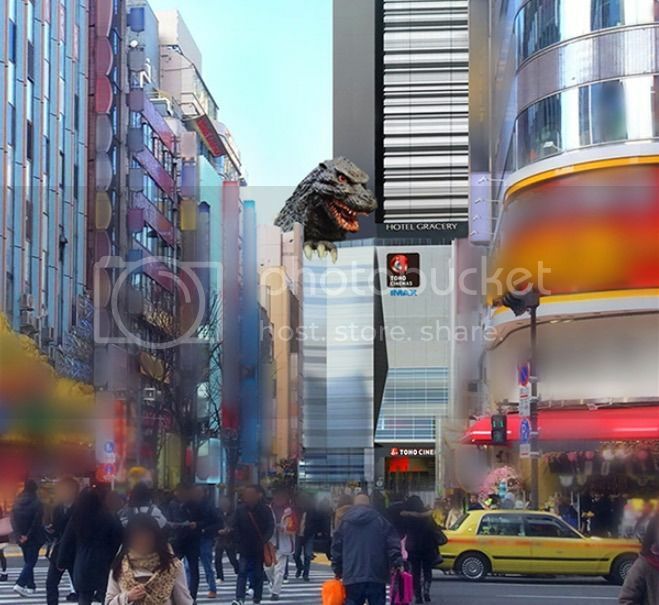 So, if you guys ever get to go to Japan and are able to get to Shinjuku, you cant miss the Godzilla head. I am sure most of know that it roars, blows smoke and lights up. That happens at 6pm and 8pm, every night I am pretty sure. When I visited the head, I accidentally came upon a patch of Godzilla skin that is exposed through the stone. I was all like..."I am going to touch Godzilla!" so I put my hand on Godzilla and then he roared lightly which I did not know what going to happen. Totally awesome. It is a great spot to visit in the ever busy section of Tokyo. The section of the hotel where the head is features some awesome Godzilla memorabilia. Certified Fresh. Just curious, but how loud is the roar if you're at street level? Loud enough that you notice it. It roars once an hour. That's gotta be cool. For like two hours . I'd hate to be a shop owner in that area. I MIGHT have to stay here, if there are rooms available in July. ^Great video! Didn't know anything about...the toilet? Nice to have you guys back! I highly recommend going to the Gracery. 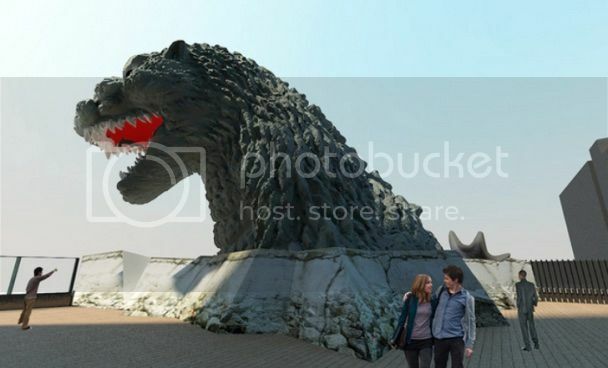 Whether you stay in the Godzilla room or just go to see the head, it's awesome and a great tourist attraction. The staff is very good too. They have Godzilla stuff for sale and if you stay there there's exclusive stuff to buy. It was amazing to see. 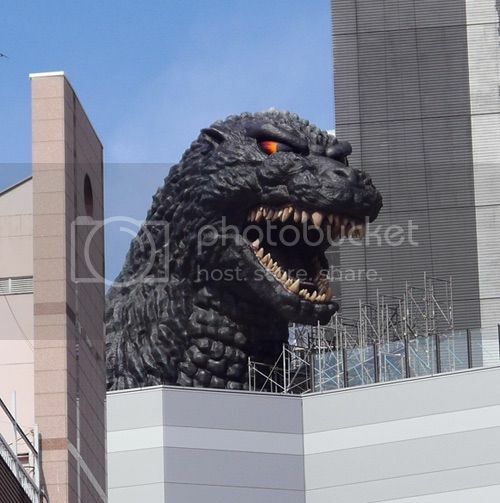 Make sure that your trip doesn't coincide with a special event, because it's REALLY frustrating to finally save enough for your Japan trip after years and years, only to have the Godzilla Room booked for the entire month by the G-Tour folk. Though the Godzilla View room was neat and well worth the price, especially with the free swag. For souvenirs, they have a little kiosk in the lobby, and Hotel-Gracery-related Godzilla stuff at the 7-11 on the bottom floor. The cafe is pretty neat, with some Godzilla-themed sweets, and the fact that the Godzilla head is RIGHT outside the windows is a definite plus. 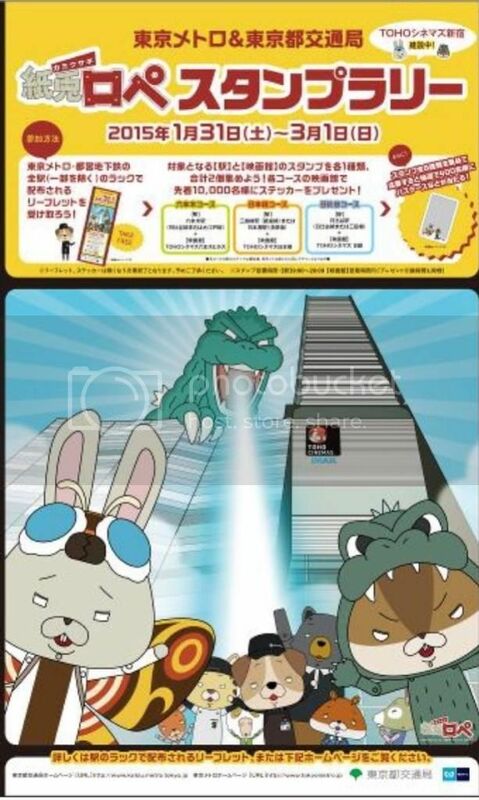 Here is a closer look at the restaurant in the hotel, including.... chocolate Godzilla! Mmmm!